I spent yesterday slaving away over Cupid’s face. This being the 3rd time I’ve repainted her face (because I wasn’t happy that her face wasn’t as good as Blondie’s face), there were some substantial stains on the actual doll. The whole process actually takes up a ton of time – between waiting for coats of paint or sealant to dry, and trying to get every feature as symmetrical as possible, I think it takes about 3 or more hours from start to finish. 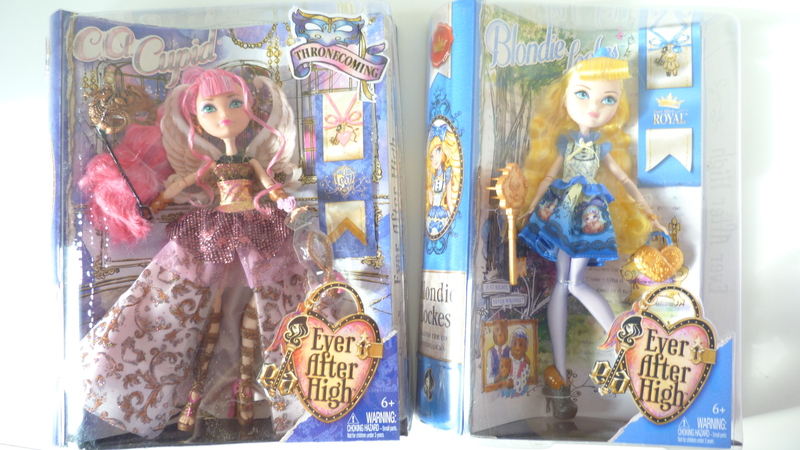 I saw the Lizzie Hearts Spring Unsprung play set and Blondie Lockes Just Sweet doll at Target, but I passed on both of them due to the price (:( I refuse to pay retail for these dolls, since they go on sale at one point or another online). 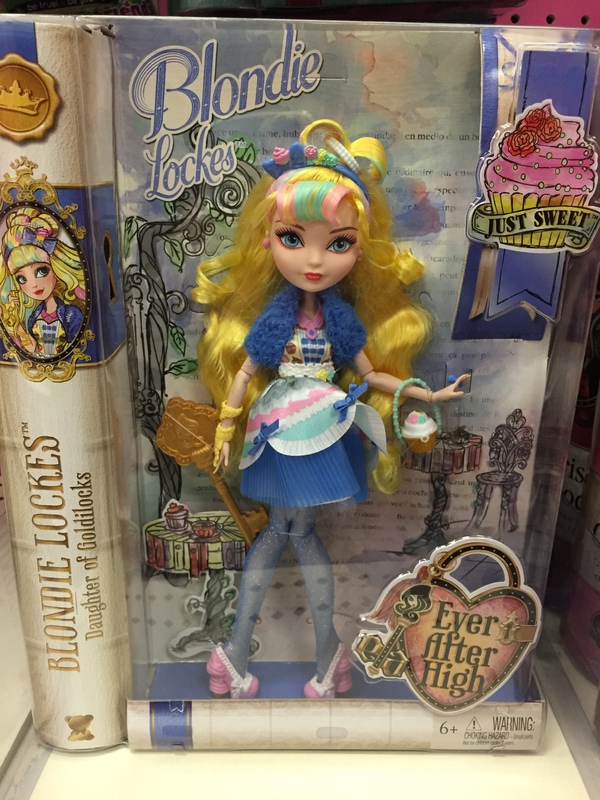 I’m not too sure I’ll get Just Sweet Blondie, because from reviews I’ve watched on Youtube, I think that hair piece on top is her hair cut super short and gelled to shape (so she has Alfalfa hair!). Michaels is one of my most favorite stores as of late. 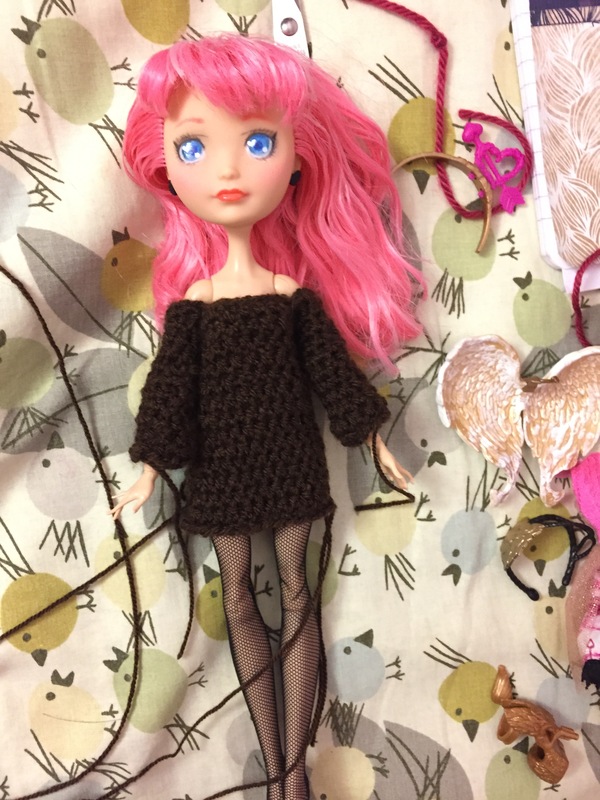 It was always fun to browse the aisles, but now that I’m crocheting a lot and I’ve gotten into dolls, all of the sudden the aisles I wouldn’t normally look at are calling to me. 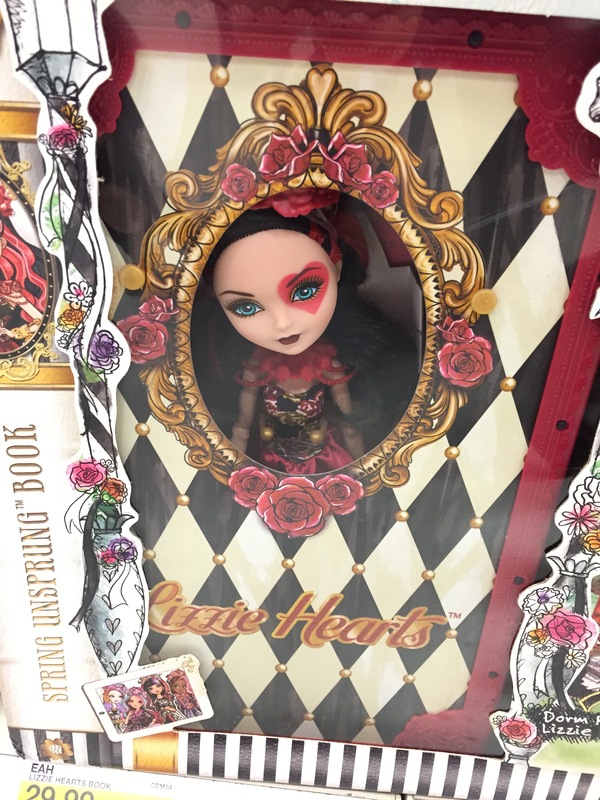 Other than the yarn and crochet hook aisle, I will now look at the scrap booking section for miniatures I can potentially use as doll accessories. I got so excited when I saw the little display of tiny home goods. Look at the little hangers!! Each packet ranged from 2-3 dollars. Also, Michaels always has a coupon you can use toward your purchase. I probably redeemed a 20% off coupon for these minis. The one thing I wish I didn’t purchase is the pair of rain boots. I thought for sure they would fit on a doll, but nope… Too small. Those will go to a friend who actually scrapbooks lol. I can easily find something to buy at Michaels, and they’re so prolific in my area. I kind of wish there was a Joanns or Hobby Lobby closer to me though! Spray the face a couple of times before getting to work. The pencils and paints adhere better this way. To get into the crevice for the lips, I dip a tiny brush into water and then into powder chalk pastel. It’s easier getting the watery pigment in there than pencil. Seal atleast twice when done with the repaint. The one thing that irks me is that the Saran Wrap I had covering her hair actually covered a little bit of her forehead, so I can tell where the sealant stops. Oh well. Before and after: Mid repaint: I used acrylic paint predominantly on the white parts of her eyes. The color pencils actually show up better on the white acrylic. 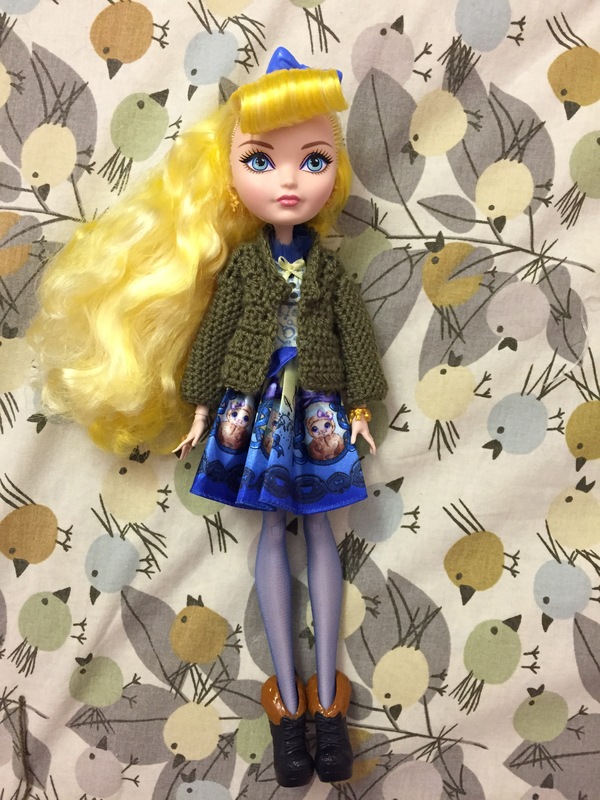 I just finished crocheting a cardigan for my Ever After High doll that I would like to share! 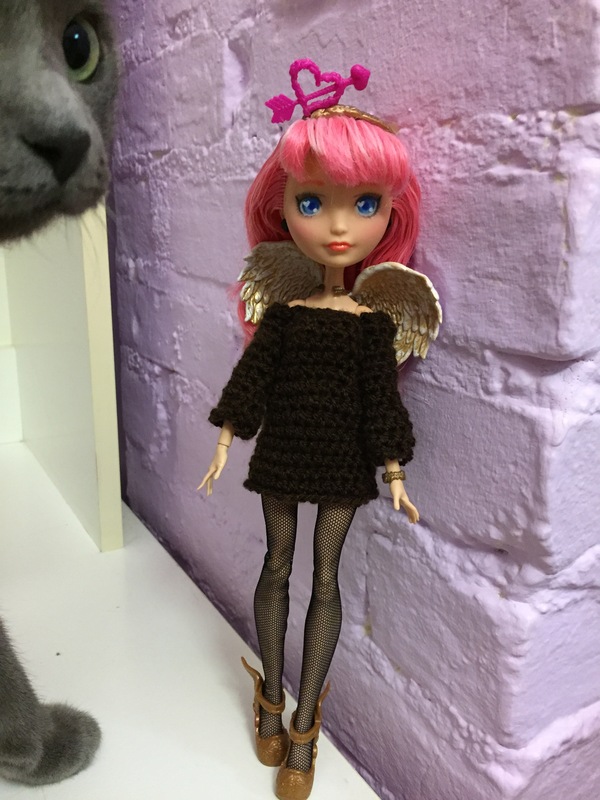 The sweater looks pretty good on the doll… but not so much off the doll. I used a level 2 yarn (quite thin), and a size C crochet hook. The problem I’m finding with very fine yarn is that any gaps or loose stitches are really noticeable, and any yarn ends poking out after being weaved in look awful. This sweater is a variation of the pattern found on Mamma That Makes blog. The original pattern was made for a Ken doll. 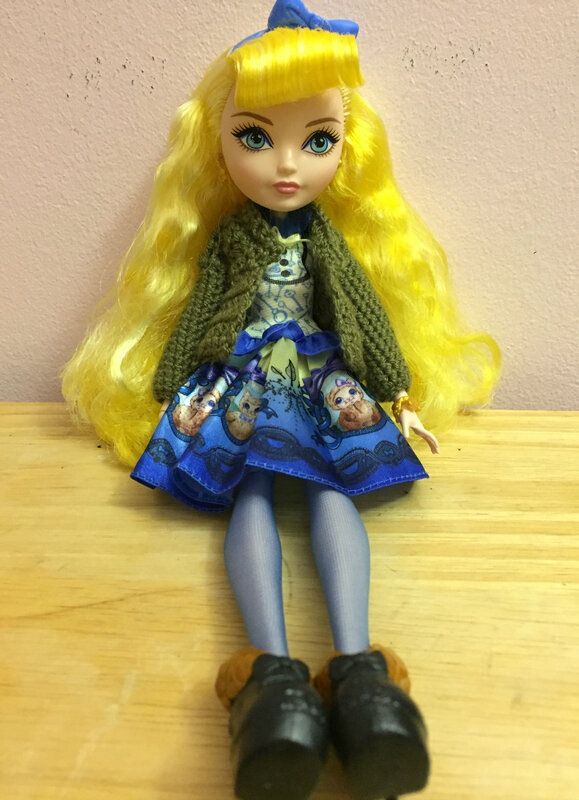 I had to adjust the pattern to fit an Ever After High doll’s proportions, and also take into account the differences in the yarn and hook I used. I also kind of winged the collar. Row 1: chain 16. HDC in 3rd stitch (14 HDC). Row 4: chain 2, HDC in 6 stitches, HDC2Tog, HDC in 6 stitches. After Row 5, I inserted an additional row of just HDC, then proceeded to Row 6. Row 6: just insert the 2 decreases in a similar fashion. Arms – I wanted the sleeves to be long, so instead of working 7 rows, I worked 15. Also, instead of 12 SC, i worked 15 SC. I’m going to try this pattern using SC only, as I think this will make the cardigan look neater. I also need some more EAH appropriate yarn colors! The olive green doesn’t really match Blondie. Olive Loop – I made an Etsy store! Just going to do a quick post. I made an Etsy store today! It’s kind of empty, but setting one up has been something I’ve put off for a long time. 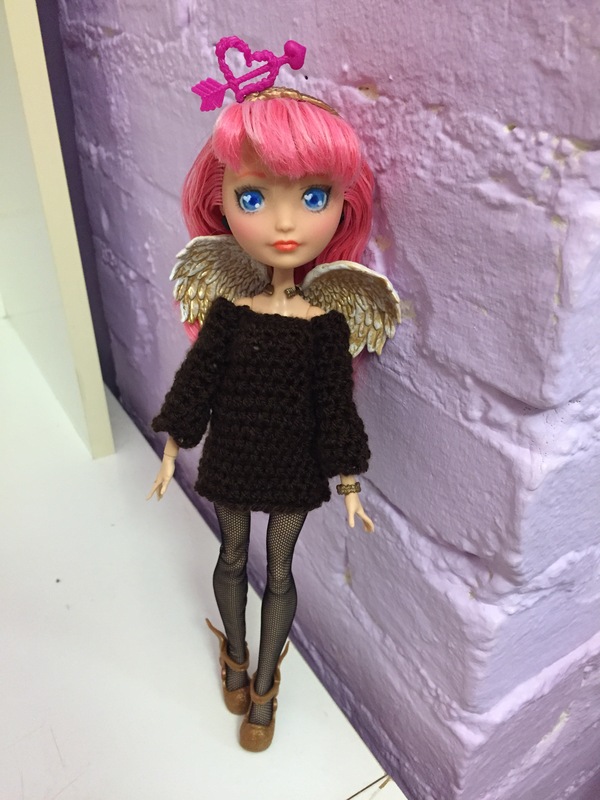 After I get my Blythe in the mail, I’m definitely going to put up some crochet hats, clothes, and accessories into my Etsy store. My Etsy Banner. The banner space is too small to fit the entire thing though, so I had to crop it a lot. 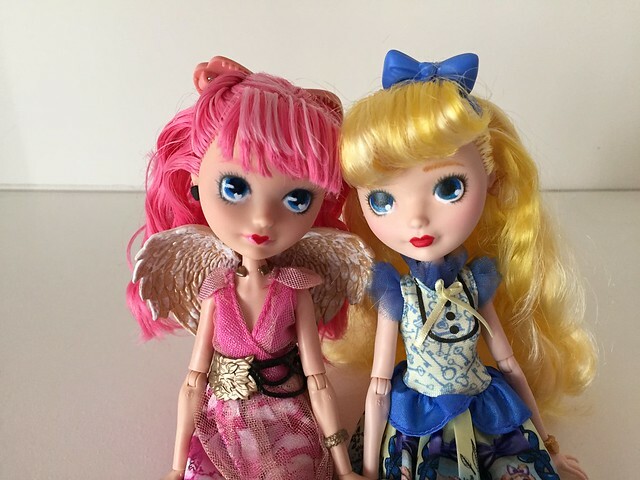 I got Thronecoming Cupid and regular Blondie Lockes! I saw that a bunch of the EAH dolls were on sale on Amazon, so I nabbed these two. It’s kind of perfect, since they’re roommates in the story. I think I will keep Thronecoming Cupid as is (for now). 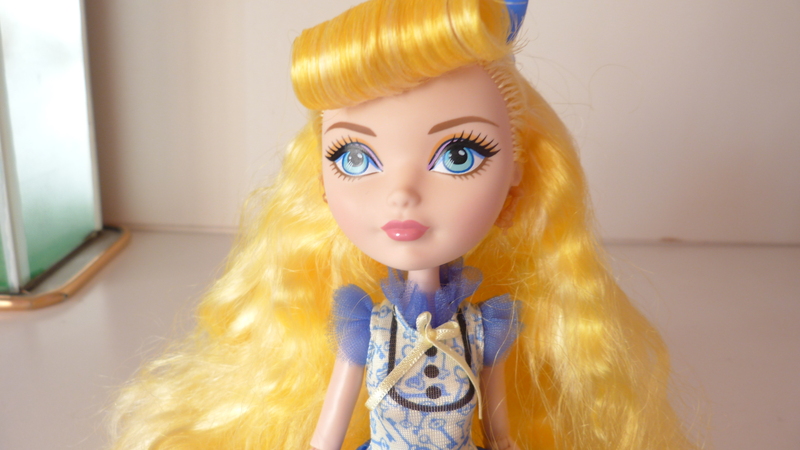 As for Blondie, I’m going to be repainting her face tomorrow. Instead of predominantly using watercolor pencils, I may try to use acrylic paints this time… We shall see. If i do a better job on Blondie than I did on CA Cupid, I may do CA Cupid’s face over again. 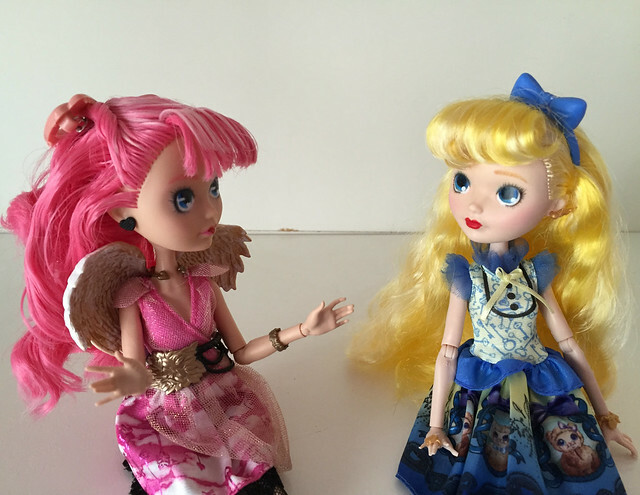 Blondie Locks isn’t my most favorite character in Ever After High, but she is a lot cuter than I thought she’d be! Her hair is a hugeee mess (it’s all tangles). I can’t wait to get started on her makeover. It’s really not hard. The instructions are pretty straight forward. If you are a crocheter or knitter and you don’t already have an account with Ravelry, get thee to Ravelry! I didn’t have the right size hook or width of yarn, so I had to guess how many extra chains I needed in the beginning. Since I also wanted to make the sweater into a sweater dress, I eyeballed the decreases and increases. I’m not terribly happy with the outcome. 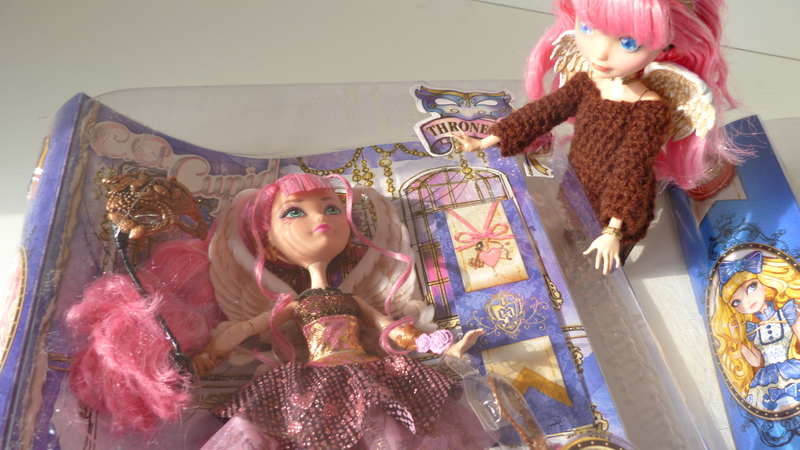 The stitches are a bit loose (so her skin shows D:), and I kind of winged it with attaching the sleeves as well. IT WAS SO HARD TO GET HER HANDS INTO THE SLEEVES! Her fingers man. Cupid will live in this sweater for the next couple weeks… Only because I know that if I remove her from the sweater, she is never getting back into that sucker ever again. (And that giant creature is my most adorable cat, who loves attention and hates all things that take away from her attentions). 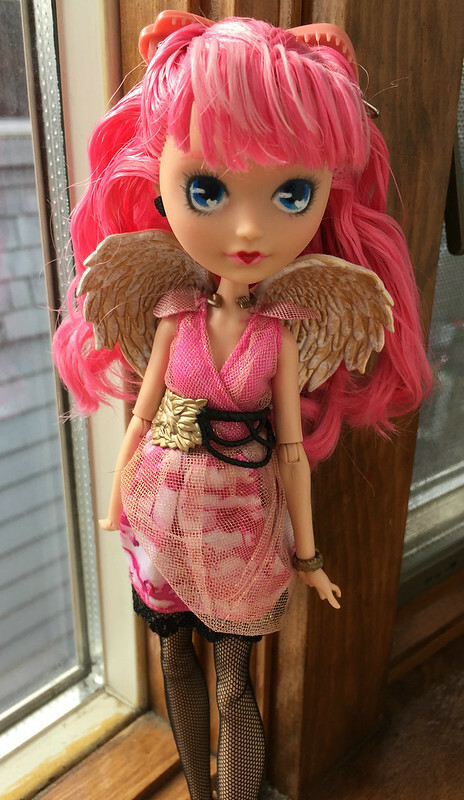 🙂 I may make one for my Blythe when she gets here… depending on what her hands look like.